I would expect that most people here already own one but, if you're a lurker considering the XR or have a friend thats looking for one, here it is. 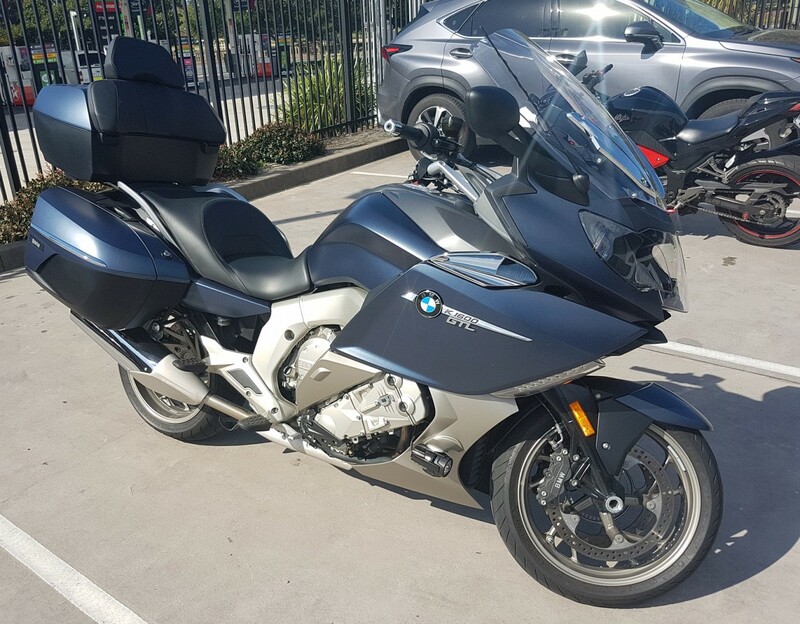 Excellent condition - only 4750kms - Warranty & Roadside Assistance until June 2019 - Rego until March 2019 - recently serviced. Getting a new one or deserting? I've been thinking FJR lately but got myself onto a K1600 (both GT and GTL) this weekend and... what a magic ride. I'll hang around for a while yet. Good Luck with your sale Patrick, unfortunately I may have to follow a similar line in the not too distant future. Love this bike also have a trike but rego and insurances are forcing the purse strings. May part with both yet and go solely with a vintage registration bike. Good luck to you and enjoy the the "sofa on wheels" (That's what some in our riding group call it....it's a great bike, just completely different purpose). The extra 200lbs takes some of the fun out of riding here on the curvy roads of North Georgia. Done. XR sold. K16 purchased. Nice pickup mate....enjoy the new steed. Next move is a Pipe & Slippers.